Whether you own a dog or a cat, or even if you are a professional dog groomer, you must need to have one from best dog clippers available on the market for grooming easily. You know how important it is to keep your dog neat and clean, and well groomed. With the right grooming habits, you can easily keep your dog’s shedding under control, prevent matted hair, untangle the knots and prevent or control skin conditions. Dogs are the most common and well-liked of all pets. Any amount of grooming for dogs is just not enough- bathing them, trimming their coat, trimming nails etc. -the list goes on. If you are very particular about the neatness of your pet dog, clippers become an absolute necessity for you. Although a wide number of options are available in clippers, not all will be worth your investment. Let us take a look at the best dog clippers from the market. What should you prefer: Corded or Cordless Clipper? 1. Andis Super 2-Speed Detachable Blade Clippers. 2. Oster A5 Turbo Professional Animal Clipper. 3. Andis AGC2 2-Speed Detachable Plus Clipper. 4. 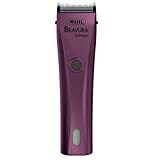 Wahl Bravura Cord/Cordless Animal Clipper #41870-0423. 5. 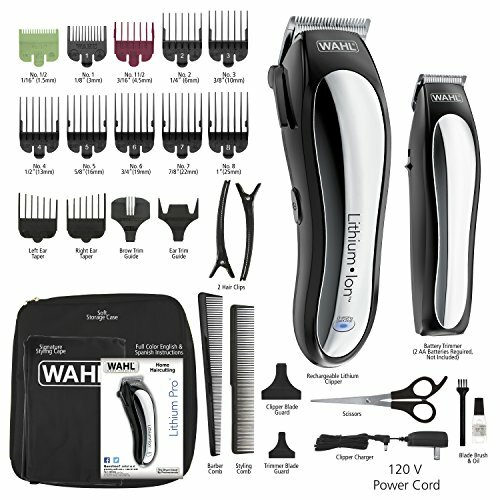 Wahl Lithium Ion Pro Series Pet Clipper #9766. 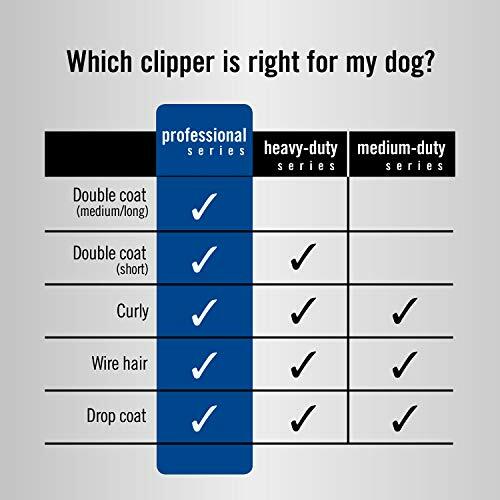 Regardless of the brand, choose a clipper that is specifically designed for your dog’s breed or the breed closest to it. Buy an ergonomic shape that fits your hand perfectly for a proper grip, without straining your wrist or elbow. Choose a unit that makes the least amount of noise. It’s best to choose a clipper that is not too heavy in weight. Choose a clipper that has a break-resistant housing, so that your unit won’t break even when dropped accidentally. Low maintenance clippers, which do not require frequent oiling of parts. Choose clippers with the longest battery life, if you prefer battery-operated clippers. Lithium batteries are the most preferred. Choose a clipper that does not heat up too much too fast, so that it does not require fans and air vents, and does not get too hot in your hands or scorches your dog's skin. Blades must be rust free and resistant to chemicals for a sharper cutting. They must also be detachable from the main unit. Corded clippers can be customized to any blade length and never run out of power due to a constant power supply, but they are difficult to maneuver with, around your pet. Cordless clippers have a limited battery but are light in weight, work well in tighter spots and allow easy maneuvering around your dog without being hindered by the cord. They cannot be customized beyond the given 5 blade cutting lengths. It is up to you to choose the best dog clippers based on your requirement but keep in mind that although it's natural to incline towards cordless clippers, you need to frequently charge your battery as it may run out after an hour, which may cause the battery to quickly wear out. What are the best dog clippers for grooming? This is one of the best dog clippers available on the market from Andis. This clipper allows all the types of dog coats, but it is especially useful in cases of dogs with extremely thick, matted, fast growing coats which are seen in breeds like German Shepherd, Golden Retrievers, Australian Shepherds, Great Pyrenees, Poodles, Maltese etc. It is also great choice for matted dogs. 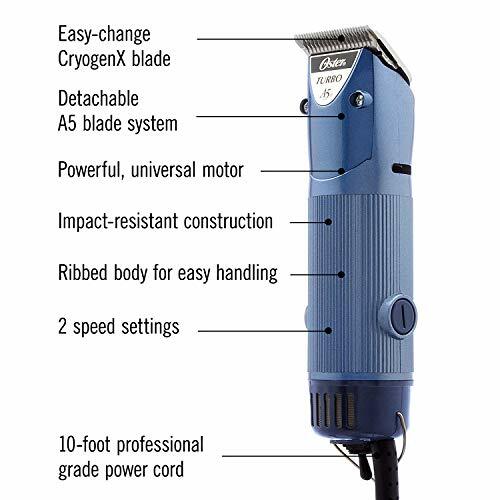 It is an extremely versatile, heavy-duty clipper that is powered by a rotary motor that can be run on a high and low speed of 3400 strokes per minute and 2700 strokes per minute, respectively. It is featured with a round barrel shape, which allows an ergonomic grip for an easy hold over long periods of time. However, this clipper is slightly heavier and larger in size compared to other clipper models by Andis, which might be an issue to some people with wrist problems like arthritis, or people with small hands. Neither does your dog enjoy the clipping session, nor does it like the sound of the clippers. The most outstanding feature of this clipper is that it is extremely quiet, allowing you to trim your dog’s coat effortlessly, without having your dog flinch the slightest bit. This clipper runs at a cool temperature, however, the blade does tend to get hot, especially on the higher speed setting. But, you can overcome this issue by having 2 sets of blades and switching between them, or with the use of a cooling spray. Also, since this clipper is compatible with all- Ultra Edge, Ceramic Edge and Show Edge types of blades, you could switch to Ceramic Edge Blade which tends to heat up slower than others. The drawback of this clipper is that it is corded, however, Andis has provided with a 14-foot long cord to make the maneuvering process easy around your pet. Finally this is an extremely versatile and durable clipper, great for matted dogs, thick coats and sensitive dogs that tend to fidget around noisy clippers. Totally worth the price! This clipper by Oster has been around for a decade, and very little has changed about it in all this time. Professionals, as well as dog owners, have just stuck with this amazing device after having used it. These clippers work like a charm on furry coats of breeds like Shepherds, Retrievers, Wolfhounds, Yorkies, Poodles and Cocker Spaniels etc. These clipper can be use for long haired and large breeds and also a heavy duty clipper. These clippers also work well on dogs with matted coats. But, it is best to leave the grooming of matted dogs to the professionals, as they have a better idea about tackling such cases or at least, ask a professional before subjecting your matted dog to this clipper. These clippers run at 2 speeds, 3000 and 4000 strokes per minute. Another benefit is that these clippers run cooler, so you need not worry about them heating up excessively, even with extended use. The Oster A5 Turbo has a powerful rotary motor, which is compatible with all of the other Oster Cryogen-X detachable blades for ease and convenience. This clipper comes in a corded model, which means you will not be left with much room while grooming, but it will work well with a dog who is well accustomed to the process. However, it is important to maintain these clippers by oiling and greasing them. This is an easy task because of the easy-to-follow instructions stated in the instruction manual. This AG 2-Speed Detachable Plus Clippers is another good clipper from Andis. 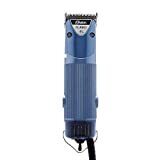 This is a heavy-duty clipper in the truest sense, extremely useful for the larger breeds and the dog has thick coats. Designed with a powerful rotary motor, these clippers work wonders when it comes to dogs with thick, fast growing, high-maintenance coats- in breeds such as Portuguese Water Dogs, Terriers, Schnauzers, Shih-Tzu, Australian Shepherd, Affenpinscher etc. 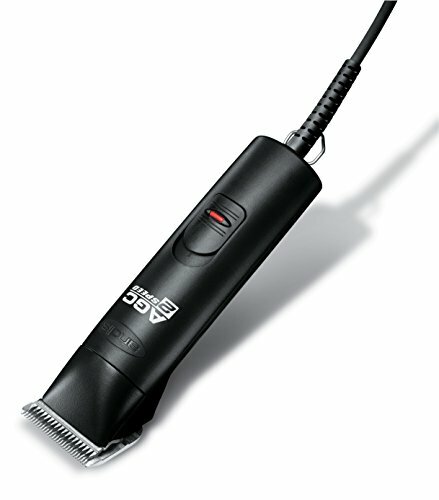 This clipper also allows switching between 2 speeds- 2700 and 3400 Strokes per minute. Their ergonomic design easily fits in the hands and is great for people who prefer a wider grip of a square shaped clipper body. And also comes with corded which do not need to worry about battery life. Equipped with #10 Ultra Edge Blade, these clippers tend to heat up very quickly (almost after 20 minutes of use), and must be turned off and allowed to rest on a cold surface or sprayed with a cooling spray before using them further. You could also switch to a Ceramic Edge blade as an alternative option, as these heat up slower than Ultra Edge Blades. The 4 x 4 blade drive allows 25% more torque compared to other models- making it extremely easy to work around the neck and ears of the dogs, which have a thicker coat. This clipper also has a very sturdy body that is shatter free and can be maneuvered easily with the 14-foot cord, although you have to be careful regarding the cord getting in your way. Finally, this clipper is recommended for who has larger dogs with thick coats. 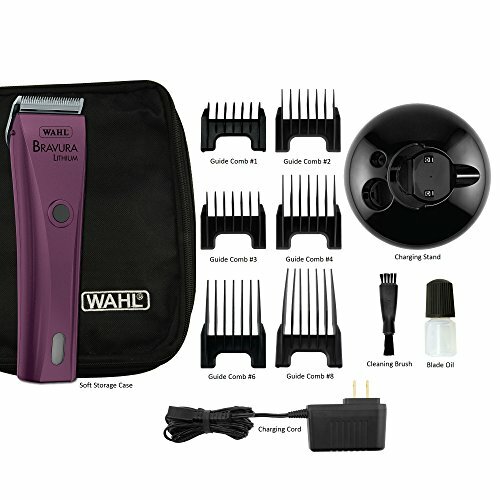 Wahl is a very popular name when it comes to trimmers and regular clippers, but they also have an amazing selection when it comes to professional pet clipper kits. This clipper kit comes with Clipper, Charging stand, blade, Combs, brush for cleaning, Blade guard and Oil. These clippers can be used for clipping almost any breed of dog, and they can also be used for final finishing touches on the forelegs and hind legs. These Lithium battery based clippers have the most advanced rechargeable batteries, providing greater power and torque in shorter charging cycles. They batteries when charged fully, allow 90 minutes of cordless application. These clippers have a cool running system that does not allow the blades to get overheated. Yes! You do not need to use any coolants. They just don’t get hot. Moreover, these clippers are equipped with a '5 in 1’ blade system, which makes changing blades an absolute cakewalk! The negative issues we found that uses tiny plastic on the backside of blades which breaks sometime against thick hair and it has single speed system which is 5000 strokes per minute. If you are looking for a heavy duty clippers which comes with cordless, this is perfect choice for you. 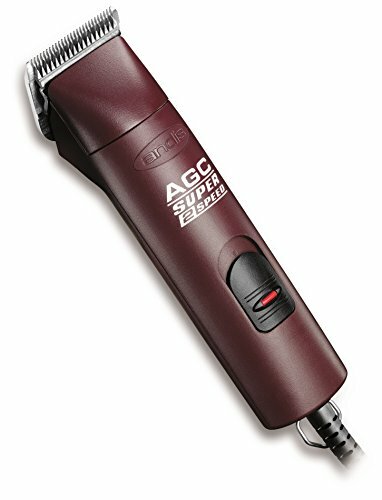 If you do not have any problem with corded clipper, definitely we recommend Andis Super 2-Speed Detachable Blade Clipper. This clipper is one of the best cheap clippers available on the market. It is best for home use. This is not a heavy duty clipper that you can use it for many dogs randomly. This clipper work best on dog breeds that have combination coats, thin coats, long coats, curly or wavy coats as well as silky coats. They do not work very well on short, smooth coated dogs. This clipper comes without the hassle of a cord, so you are not left learning how to become a contortionist in order to properly groom your dog. It has got lithium ion batteries which are lasts for around an hour after having fully charged. The blade comes in a '5 in 1’ set, with 5 adjustable cutting lengths of size #9, #10, #15, #30 and #40. The only drawback of these types of blades is that their cutting lengths cannot be customized beyond the ones already provided with the blade. This clipper also provides a great deal of torque, which makes the entire grooming session an extremely efficient and smooth one, both for the groomer as well as the dog. Although the clipper is light in weight, its structure is rather bulky and hence not meant for those with small hands or arthritis problems or any person who tends to get achy wrists. Ergonomically, this is not the best clipper. These clippers are equipped with self-sharpening, high carbon steel blades. The best advantage of such blades is that they don't require much maintenance. Also, the color-coded snap on guide combs provided in the kit makes the grooming session very convenient. Finding a decent set of dog clippers is always a great investment for those who are willing to groom their pets at home. Due to the wide range of options available in the market, chose the style, type and quality which will serve and fulfill all your needs. After buying the clippers, make sure you read the operating instructions as well as the safety manual before clipping. 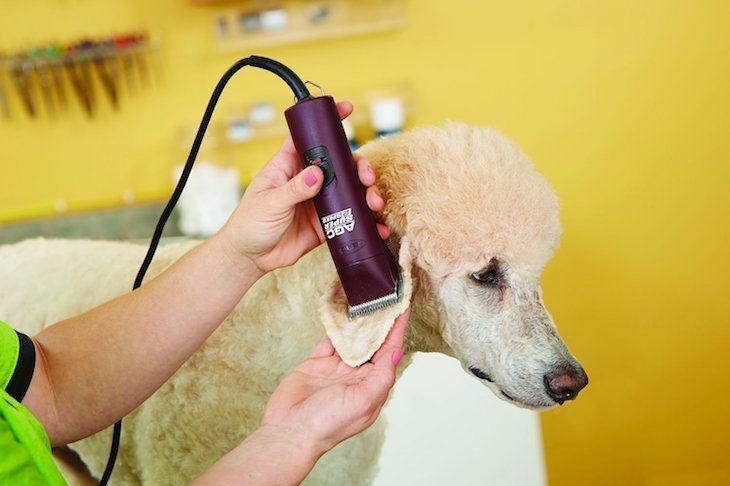 You want to familiarize your dog to the sound of the clippers, and you yourself want to be well acquainted with the best grip suitable for you- before commencing the grooming session. Avoid clipping your dog until you have bathed and thoroughly dried it, and completely removed the tangles. Hopefully, you will find the best dog clipper after reading this guide. Wish you a hassle free grooming session. Read this another guide about dog grooming tips and tricks.